With a completely waterproof design there's virtually no reason not to bring the UE Megaboom wherever you're headed. 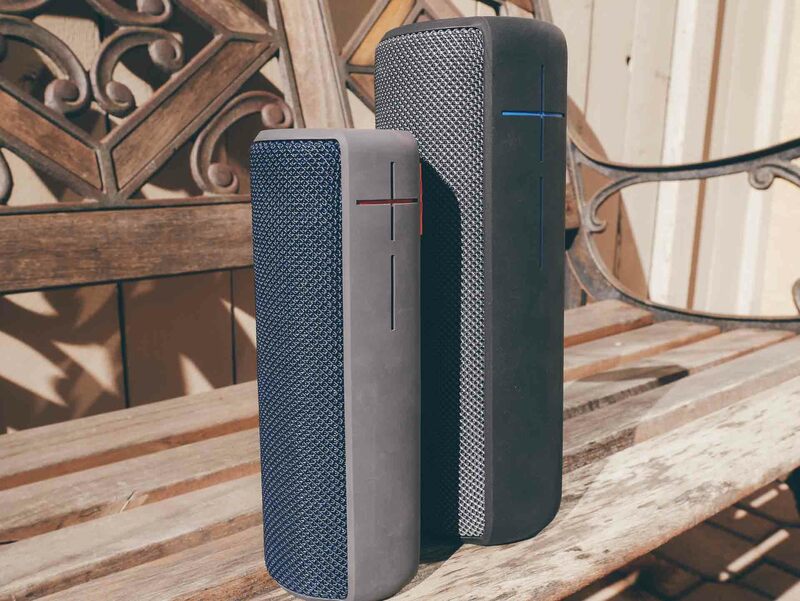 In a lot of ways, if you’ve seen the popular UE Boom Bluetooth wireless speaker, you’ve also seen the company’s new UE Megaboom speaker. The same visual design is kept in tact — the Megaboom is just bigger. Overall, this is a smart decision considering the UE Boom has been very well reviewed and well regarded in its price and size range. The UE Boom and the UE Megaboom. The new speaker doesn’t replace the original UE Boom. Instead, it’s targeted at those who want a beefier Bluetooth solution. Potential buyers will have to be willing to pay more as the UE Megaboom comes in at $100 more than the Boom.. 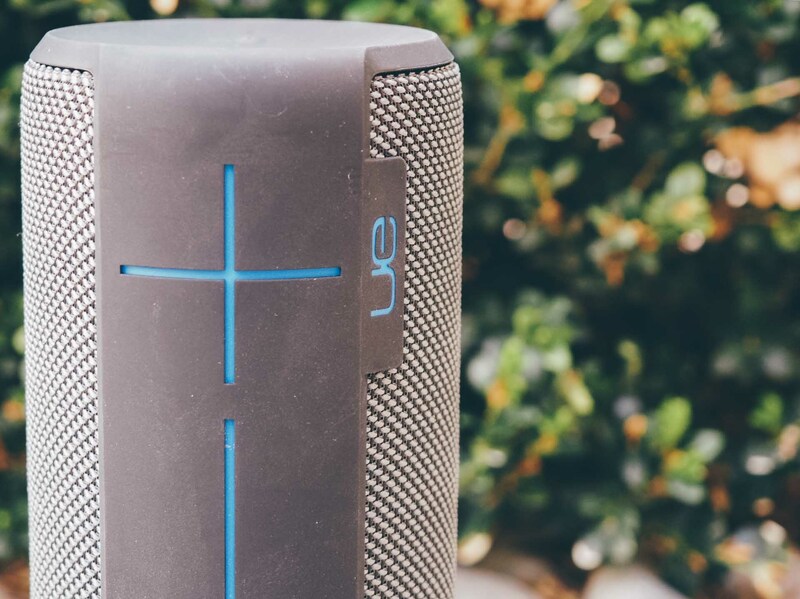 The UE Megaboom shares many design features with its smaller Boom sibling. Is the new UE Megaboom worth the price? Like a lot of people — most people probably — I’m not interested in a small Bluetooth speaker for its novelties, but rather for its portability and practicality. Its main objectives should be to produce the best sound possible in a convenient package. All other features should help facilitate that goal. If it can do that, then it’ll be a solid choice worth its price. While the UE Megaboom might be able to fill a living room or backyard with sound, it’s not a replacement for home stereo systems like Sonos, Samsung, or others. 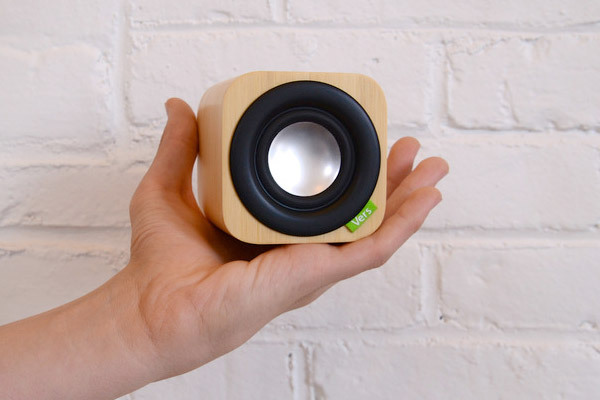 It should be judged to its purpose — a small portable Bluetooth speaker rather than a whole-home solution. 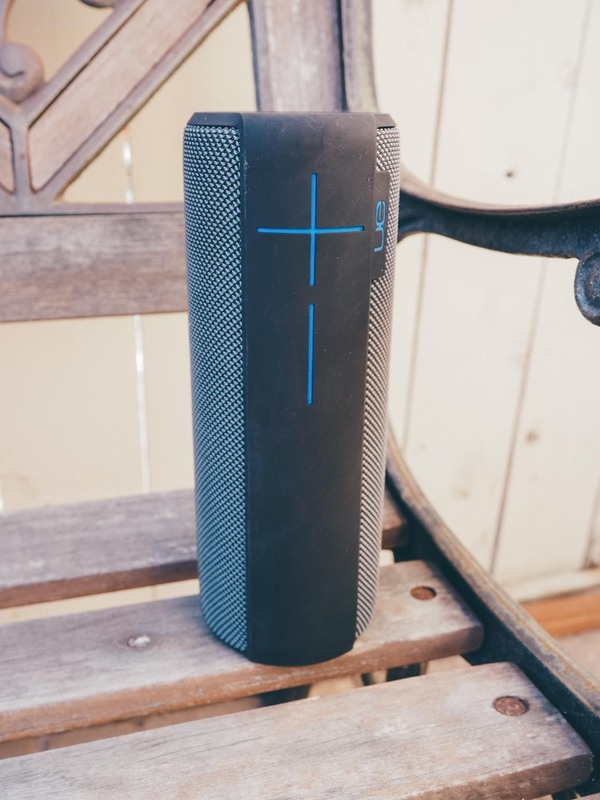 Having tried a few Bluetooth speakers recently, the original UE Boom and now the UE Megaboom are exciting because they get the basics right and build out the product from there. It doesn’t matter how long a company can get the battery to last, for instance, if a speaker can’t produce good sound. The original UE Boom has received rave reviews, so there’s a warranted expectation with the UE Megaboom. The Megaboom is bigger, so the thought is that it must sound better. That was my first thought and straight out of the box I wasn’t disappointed. In fact, after switching back and forth between the UE Boom and UE Megaboom, I quickly felt unimpressed with the smaller version as it tried to keep up with its bigger sibling. The UE Megaboom offers enough bass resonance to keep songs from sounding tinny, but the high end of the spectrum isn’t ever drowned out either. On first listen the sound is probably more than you were hoping for from something the size of a large sub sandwich. The nice thing is if the UE Megaboom doesn’t sound quite the way you were hoping, the company also provides a mobile app for tweaking the EQ. I stuck to the default “Standard” for testing, but beyond the few presets, you also have manual control over a limited number of sound frequencies. The Megaboom can be taken anywhere, but is ideal for indoor settings. To get a sense of the speaker’s capabilities, I placed it across a medium-sized living room at one-third volume and played D’Angelo’s newest album Black Messiah. The album is a diverse collection of songs which relies heavily on bass runs, but also uses multiple types of guitars across different songs and never treats the vocals identically. On the first song — “Ain’t That Easy” — the bass kicked while the vocals popped nicely and floated at the top of the constantly grooving song. Track after track I was thoroughly impressed with the sound dynamics. The nagging issue was, at the lower volume, the speaker had the tendency to come across narrow. It always felt like the sound was coming from a small portable speaker (which it was). 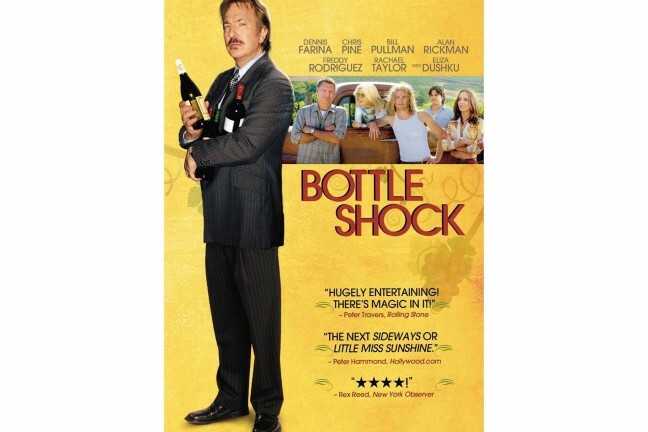 It’s not especially mind blowing at lower volumes. If you’re looking for something with lots of low end resonance, you might want to look at Bose’s Soundlink line of portable Bluetooth speakers. They have a remarkable ability to reproduce low-end in a small package. I would consider the Bose speakers to be more limited overall, however. Turning the volume up to the half-way mark on the UE Megaboom actually helped to reduce this narrow feeling. Raising the volume would presumably produce the same narrow results, but it didn’t. At half-volume the speaker somehow expanded beyond itself and sounded even better. At nearly full volume the speaker never distorted, but was too loud for comfort inside the house. Outside the house, the speaker performance was a pleasant surprise considering how hard it is to push sound in an open space. Backed up against an area with steady street noise, the speaker needed to be at about 50 percent volume with a 10 foot radius to hear it well. At a distance of about 25 feet, the speaker needed to be between 80 and 90 percent volume for comfortable listening. At the farther distance with the standard EQ set, any resemblance of bass was lost. Especially with rock music, no distinct bass line pushed through enough to hear anything above the high mid-range. When I manually adjusted the EQ and pushed the two low frequencies all the way up and cut out the mid-range, there was a more audible low-end from the farther distance. It still wasn’t anything to write home about. 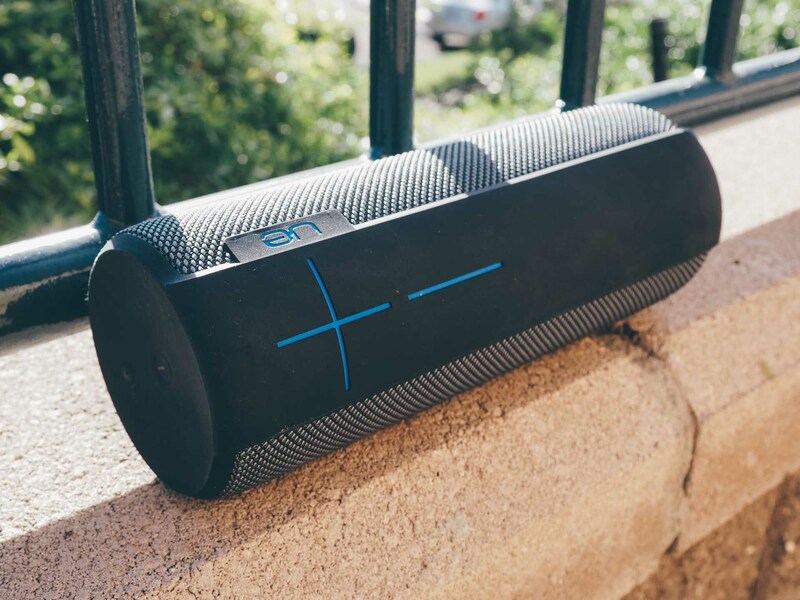 Not many small Bluetooth speakers work well outside, and this includes the UE Megaboom. 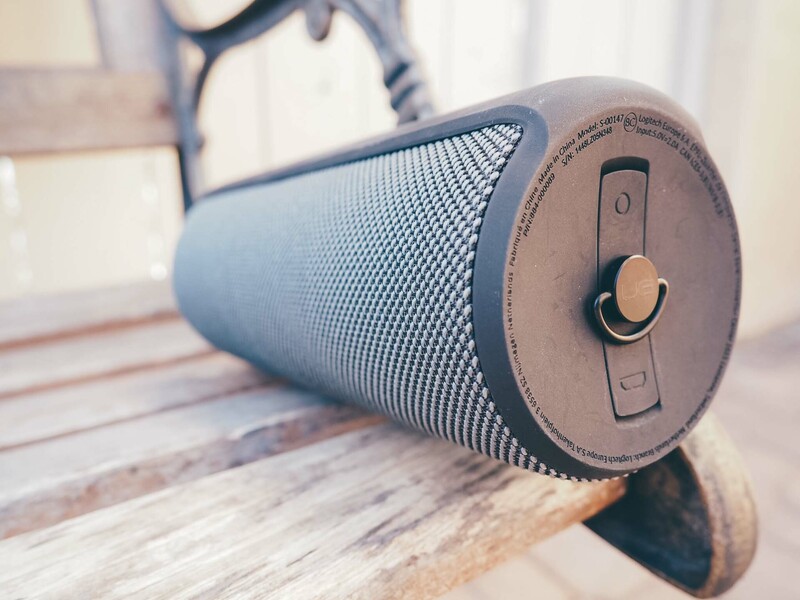 On a small patio or in a quieter environment the UE Megaboom should be fine, but it’s just not a complete outdoor sound system. Of course, the UE Megaboom begs to be outdoors with its IPX7 waterproof rating. 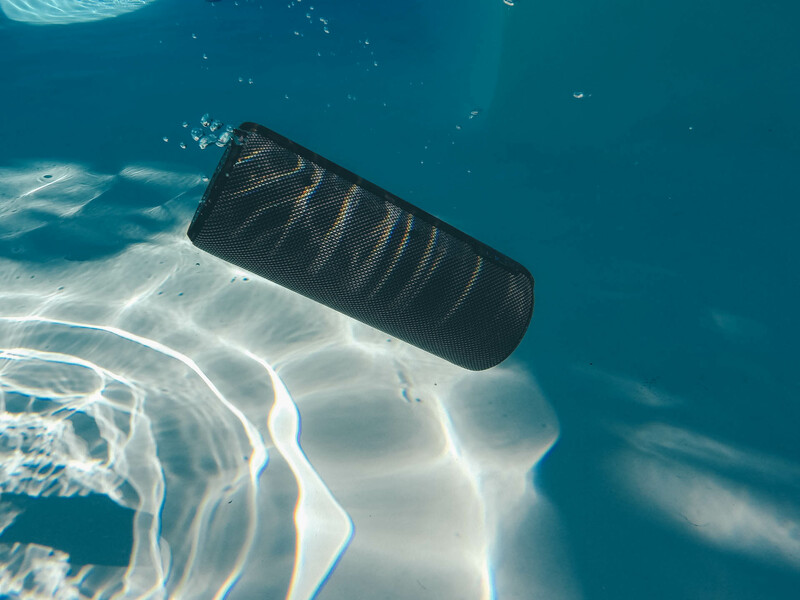 This goes way beyond the Boom’s IPX4 splash rating and it means the UE Megaboom can be submerged for up to 30 minutes at 3-feet. 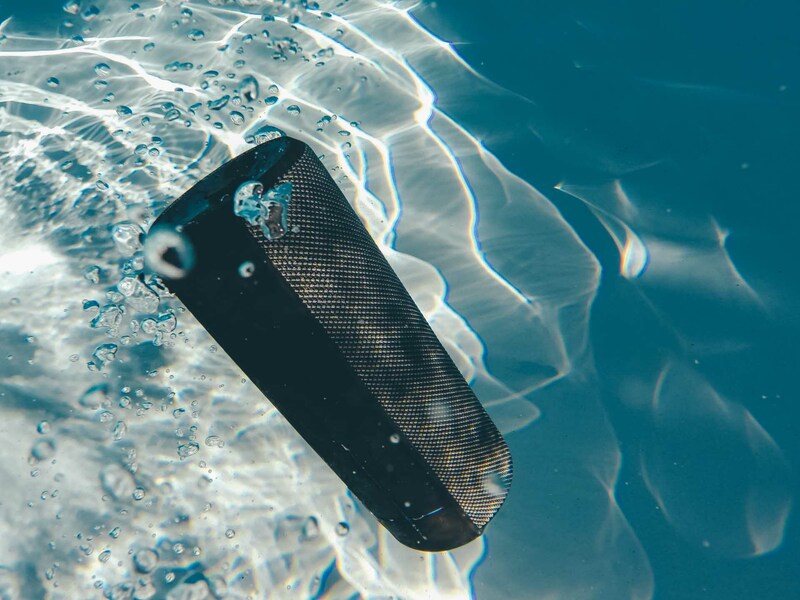 While you can’t really use it in the pool, it mostly means that you shouldn’t be afraid to bring the speaker to the beach, the pool, a snow retreat, or any other outdoor adventure. The UE Megaboom is waterproof for 30 minutes in 3 feet of water. With the company saying it’s completely waterproof, the temptation to try out the speaker’s waterproofing ability is just too great. It has to be thrown in the pool just to see, right? The Megaboom floats, so it won’t sink to the bottom of the lake if you accidentally drop it. Interestingly, the speaker turns off when it’s submerged and starts playing again when it comes out of the water. It’s only the top part that turns off the music though — holding the speaker almost completely underwater with the top rubber part exposed kept the music playing underwater. Also nice is the speaker’s ability to float. If you do drop it in the water accidentally you shouldn’t need to jump in to rescue it. 360-degree sound is one of the Megaboom’s hallmark features. 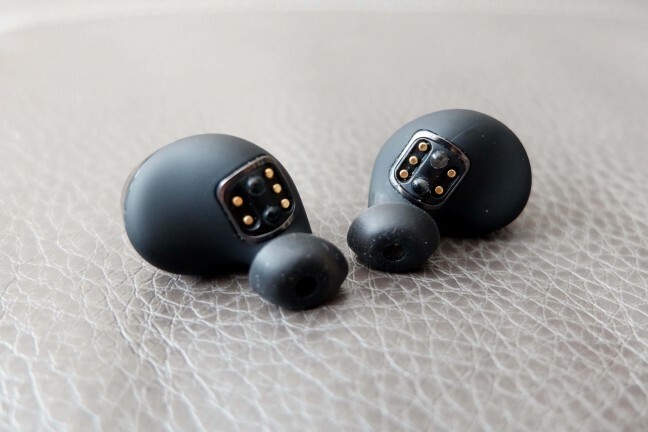 Besides its waterproof skills, the most notable design aspect is the speaker’s advertised 360-degree sound, which is emphasized by its cylindrical shape when standing vertically. This is mostly true — by rotating the speaker, you can notice a slight difference in volume and presence depending on the direction of the speaker. This is slightly more noticeable than on the smaller version. Simply stated, the design served the original UE Boom well so there was no reason to mess with its new, bigger sibling. If the lineup of boom speakers goes too many years resting on its laurels I might be concerned, but right now it still looks attractive and remains versatile. For example, by being bigger and chunkier than the original, I expected the Megaboom to heavily increase in weight. It didn’t. It’s heavier, of course, but not by any noticeable amount. The UE Megaboom comes in under two pounds so weight shouldn’t be a factor. 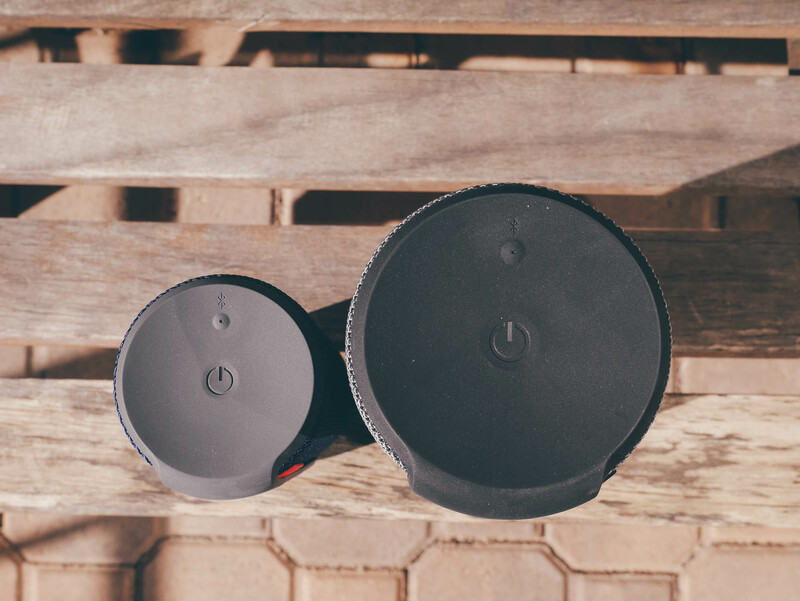 The speaker, even though a bit taller and wider, is just as portable as the UE Boom. I can’t think of a circumstance where the smaller of the two would make it along on a trip, while the bigger one would be left behind. 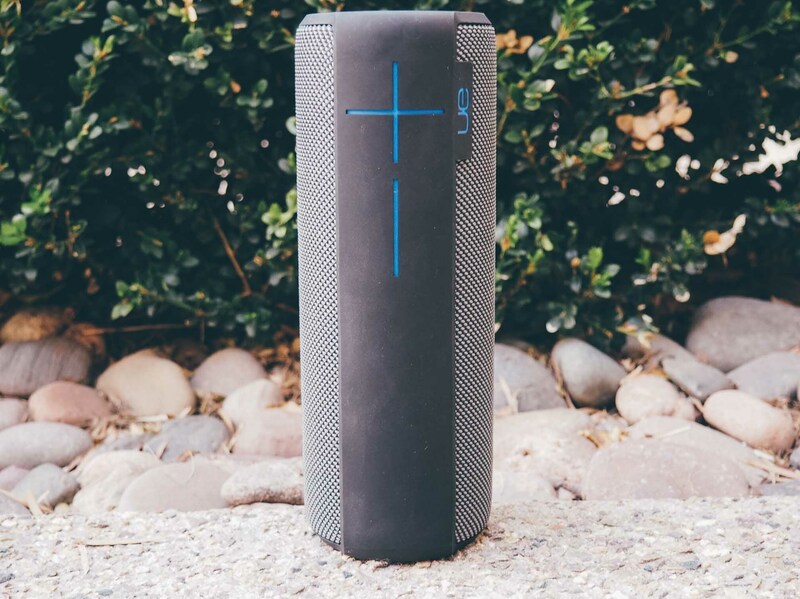 The UE Megaboom is large enough to accommodate louder sound, but small enough to remain confidently portable. If portability isn’t the main concern, and if you have some extra cash, you can link two speakers together to have double the power pumping out at (presumably) twice the volume. You can also turn two UE Megabooms into dedicated left and right stereo speakers. I wasn’t able to try two connected UE Megabooms, but I have tried two connected UE Booms with solid results. You are supposed to be able to mix and match the different speaker versions as well, though the speakers haven’t been updated to do so yet. Also coming later this year is a software update to be able to link up to 10 varying boom devices together. The top of both the Boom and Megaboom. You don’t have to use the speakers’ mobile apps to link multiple speakers together, but the guided instructions definitely make it easier. The mobile app also allows for other neat features, like using the speaker as a musical alarm and — my personal favorite — remotely turning the speaker on and off. 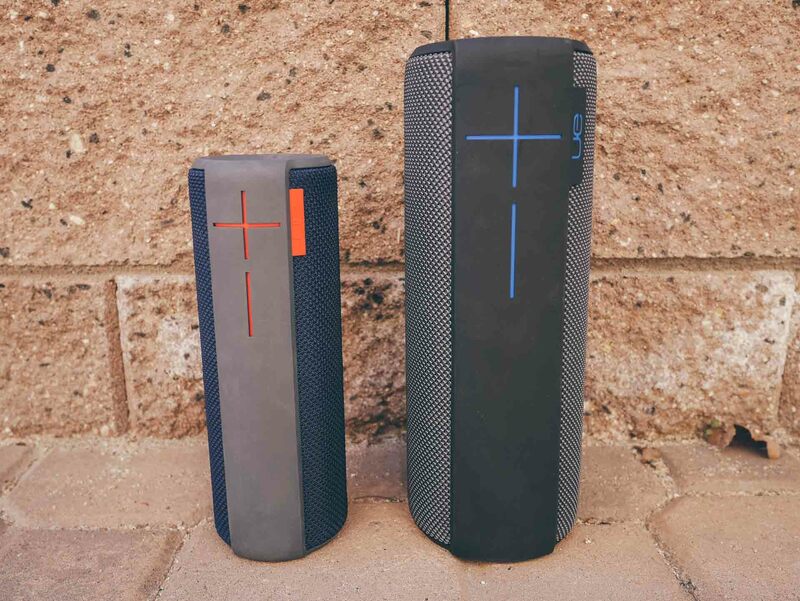 From anywhere within range — now 100 feet with the UE Megaboom compared to 50 feet with the UE Boom — I could open the app, press the power button, and hear the indicator that the speaker had turned on. I haven’t seen this feature on most other Bluetooth speakers so it was a pleasant surprise. Often I won’t want to use a Bluetooth speaker simply because I’ll have to get up from what I’m doing to turn it on. Keeping the speaker constantly powered is the Megaboom’s 20 hour battery. This is a five hour improvement over the smaller version. Not only did it last for the full 20 hours as advertised, I also had a hard time finding the time to try and burn through that amount of battery life. For what it is, the UE Megaboom is nearly perfect. It can’t compete against larger speakers with larger drivers, but I don’t think it needs to. First and foremost, the UE Megaboom sounds good. It’s both loud and balanced enough to be useable in most situations. Secondly, the speaker does everything it can to encourage being used at every possible turn. With a completely waterproof design (that doesn’t seem to sacrifice other aspects), there’s virtually no reason not to bring it wherever you’re headed. It doesn’t matter if it’s supposed to rain or snow. Even the remote power button through the mobile app encourages more and easier usage. The Megaboom gets the basics right and successfully builds out other features that make sense on top of that foundation. 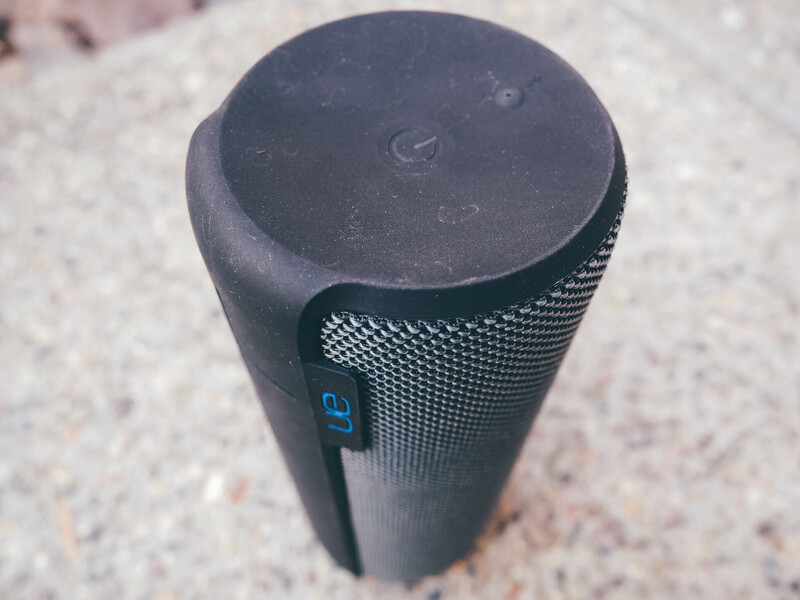 The UE Megaboom might be more than you’re looking to spend on a portable, wireless speaker, but beyond price, there’s almost no other reason not to consider it.